It’s a terrifying experience when you’re involved in a traffic accident. It can result in physical injury, emotional trauma, property damage, lost work wages, medical bills, long-term disability, and death. According to the National Highway Traffic Safety Administration’s most recent data, 32,675 people were killed in auto accidents in 2014. If you have been injured in an accident, then it’s extremely important to have an experienced auto accident attorney in your corner. You might feel emotional, hurt, and confused following an accident. However, there are several things you need to remember. Never leave the scene of the accident. This is especially true if there are injuries or fatalities. Fleeing an accident scene can lead to serious criminal charges of hit-and-run driving. Make sure everyone is alright. Call 9-1-1 immediately for medical assistance if needed. Do not move anyone who is unconscious or has sustained a neck or back injury. Wait for the medical professionals to arrive. The police need to be informed after a serious accident, so they can file an official report. Make sure you get the name and badge numbers of the officers at the scene. Talk to the other motorist and passengers. Exchange names, phone numbers, basic insurance information, driver’s license numbers, license plate numbers, and other important information. Be polite but don’t say “I’m sorry” or apologize — especially when the accident wasn’t your fault. Your words can be used against you in a court case as an admission of guilt. 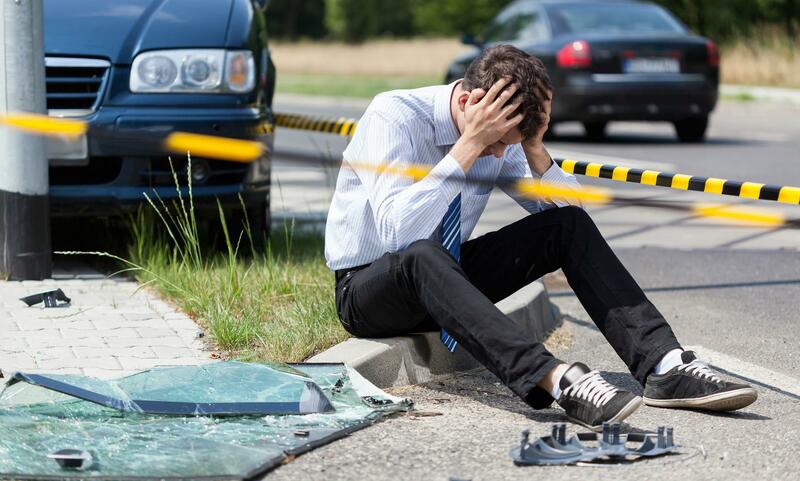 If there are witnesses to the accident, get their names and contact information as well. Tell them every detail about the accident, and what injuries you have sustained. They will inspect your automobile for damages, and discuss your best options moving forward. Keep track of all your medical treatments, injuries, and damage to your vehicle. This will be extremely important in a legal settlement. If you are not getting the right medical treatment, or if the insurance companies are not helping, then you need an experienced car accident lawyer. Lee, Gurney & Hess can help you find the fair compensation you need to reclaim your life. With over 90 years of combined experience in successful litigation, we are dedicated to the best interests of every client. Contact our auto accident attorneys today for a free consultation. We are honored to serve your case!